Select CCC course sections are participating in the Follett includED program which means your textbook costs will be included as part of your course tuition and fees. The textbook will be a digital e-text that is available when you start the course. CCC has negotiated to get you the best price available for the includED e-text. Students will be automatically charged on their account for the includED e-text. The e-text is covered by financial aid. The charge will appear as a fee along with your tuition on your bill. How do I know if a course section is using an includED e-text? Click the bookstore Information link at the bottom of the Section Details screen when viewing information for the section. The textbook information will display “includED” if the section is using an includED e-text. The type of e-text students will use depends upon the type of course they are taking. Academic education courses using includED will access the includED e-text though a link in their Moodle course. The e-text will open in Follett BryteWave Reader. Students enrolled in information technology course sections participating in the Follett includED e-text program will use a system called SIMnet from McGraw-Hill for the textbook. Students are sent an email from our bookstore with the full SIMnet access code and will be charged the cost of the access code on their student account at CCC. 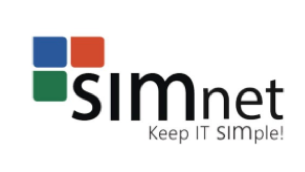 This code can then be used in SIMnet to gain access to their course materials. Students can use a 14-day trial code to get started in the course right away as they wait for the email from the bookstore. Can I purchase a printed copy of the includED Brytewave e-text? Yes, a feature called “Print on Demand” allows students to purchase a loose-leaf printed copy of the textbook for selected e-texts after the opt-out date from their user account menu. This feature will be available as a button on the user menu in Brytewave Reader if the feature is available for the textbook. You may purchase the printed copy (black and white) of the book from the bookstore. Once you have used print on demand or purchased a book at the bookstore you cannot opt out of the IncludED option. Launch your eBook from your online classroom. Once in Bookshelf, click the User icon in the top right corner. If you have content on your Bookshelf that provides a print option, you will see and can click on the "Print on Demand" button. Locate the book that you desire to print and click the "Purchase" button. This will launch the shopping cart experience. In the screens that follow, enter your shipping information, choose a shipping option, confirm total cost, and provide payment information. Upon completion, you will be emailed a receipt. I already have the correct textbook for the course, can I opt out of the includED program? Yes, you can opt out of the includED program and not be charged on your student account for the textbook, unless you are taking an INFO program course that uses the McGraw-Hill SIMnet system. There is no other source to purchase the textbook for the INFO courses. For academic education courses you must opt out before the deadline, the last day for free drop/add for the term at Central Community College. Once you opt out, you will not be able to change your choice and opt back into the program. Please remember that the includED program may also provide access to course materials such as MyMathLab that are required for the course. An access code must be purchased from the bookstore if you do not already have it for MyMathLab. Learn more about the opt-out process. I already have the e-text and MyMathLab from a previous term, can I opt out of the includED program? You will stay enrolled in the IncludEd link. Do NOT OPT OUT! This is a change in procedure. Email Willie Piitz, student accounts director, at wpiitz@cccneb.edu with your name, ID number, course and instructor by Friday, Jan. 19, and he will remove the spring semester charge from your account. If you had OPTED OUT and are unable to access your course materials, email Willie Piitz, student accounts director, at wpiitz@cccneb.edu with your name, ID number, course and instructor as soon as possible and he will work with Follett technicians to regain your access. Can I opt out of just the includED Brytewave e-text and keep MyMathLab? No, if you opt out of the program, you will lose access to both the includED Brytewave e-text and MyMathLab. You can, however, opt out of the includED program and then purchase an access code from the bookstore for access to MyMathLab.